Penteconfidence: (noun) 1. Living confidently and boldly for God because of the gift God gave his people on Pentecost. 2. Confidence born of the Holy Spirit. From Corries Theological Dictionary of the New Testament, ©2016, Dove Publishing Group. Good Friday is a day for difficult reflection. It’s a day we remember a tragic death. We remember that Jesus hung on a cross to die for the sins of the world. This year I was asked by a neighboring pastor to lead a Good Friday service for his church. It was a unique request–could I lead a service of lament and remembrance for those who have suffered miscarriage or infertility? As we talked, prayed and planned, we decided to expand the service to minister to anyone who has experienced any kind of child loss or childlessness: infertility, miscarriage, stillbirth, SIDS, failed surrogacy or adoption, abortion, or any other circumstance. As a former hospital chaplain assigned to the high-risk pregnancy and neonatal intensive care units, I had an idea where to begin. As an aunt to two miscarried babies, I knew something of the sensitivity needed. So we began with lament. We set our pain and grief before God through corporate readings and song. We prayed and poured out our hearts before the Lord. From there we moved into acts of remembrance and healing. We lit 41 candles for children lost or hoped for. I anointed sisters and brothers with oil for healing of body and spirit. We went to the communion table and received Christ’s body and blood so that God would sustain us as we heal, and wait, and hope. Remember our suffering, sorrow, and loss. Help us come to you when we want to run and hide. We need your holy rest. Gently teach us how to live with joy. Resurrect our hope that you are good at all times and in every way. Come and make all things new. Too often the church remains silent about the pain and grief we experience because it make us (pastors) uncomfortable. Or, we tell ourselves, that the plans we have for our services and sermons can’t be interrupted. But child loss and childlessness burdens too many people for the church to ignore this pain. 1 out of every 10 couples experience infertility. At least 1 in 4 women will experience a miscarriage in her lifetime. God lost his one and only son to death. The church should be a safe place to cry out our every pain and suffering. A place to weep. A place where we give ourselves over to the mysterious, healing work of the Holy Spirit. A place where we stretch our empty arms toward the God who knows our loss. So tonight a small branch of the church gathered. Tonight we cried out like God’s people have done for centuries. We sat in the quiet–waiting, listening–and expecting that God was at work in us. At the end of this Good Friday, we left candles burning before the cross and went home knowing that God heard our prayers. May resurrection and new life come soon. Several of my Facebook friends have been sharing a graphic called the beards of ministry. Take a look. It’s pretty funny and full of caricatures that are often true in the church. I remember looking forward to seminary and to ministering in a church. I had such high hopes for learning, for being challenged intellectually and spiritually. I really wanted to see new fruit in the church and in my life. I never expected to witness the birth of the hipster movement. At seminary, I was surprised to find men (so many men) wearing corduroy pants, flannel button-downs over graphic t-shirts, and wool hats. Granted, I went to grad school in the pacific northwest, but the weather is not so cold that you must wear this outfit ten months of the year. At my seminary, the professors often used the verb grapple to describe the Christian life. We were grappling with this arduous spiritual and intellectual journey of following Jesus and being a part of his church. Seminary certainly challenged and stretched me, but the only thing I grappled with was the sight of my fellow students toting sleek Mac laptops in trendy shoulder cases while wearing faded Converse sneakers with holes in the toe. And yes, the facial hair phenomenon was as real for seminarians as it is for pastors. There were so many strange, but clearly intentional, patches of facial hair. My theory is that creative facial grooming draws the eye away from an exposed scalp. Here is the question I will ask the Lord when I meet him in heaven — why are so many seminarians prematurely balding? Really, this scalpular creativity is nothing new. My brothers in Christ are carrying on a long-standing tradition among religious men. 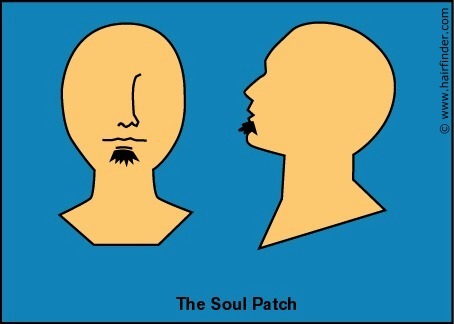 Soul-patches are just the modern day tonsure. Clearly, that graphic about pastoral beards got me laughing about all of the stereotypes I’ve seen in the flesh. But it also got me thinking about the things that I experience as a female pastor in a faith tradition where pastors are mostly men. For instance, take the robe. I’m not from a tradition where pastors preach in robes, but recently I was asked to wear one for a wedding I’ll be officiating. The only robes I’ve ever worn were rentals definitely made for the male body, though advertised as unisex. There was no room for hips. The sleeves on these robes are poofy and voluminous – you could fit a small child through their opening. So I had a pastoral dilemma of needing a robe, but as a woman I also had a style dilemma; I did not want to drape myself in a manish, gospel choir inspired robe. Thank goodness I found this flattering and feminine robe courtesy of the staff at Women Spirit. As a woman, I have issues with all of these options. First, when preaching, I do not wear button down shirts as a rule. This eliminates the risk of unfortunate gapage during Spirit-filled hand gestures. 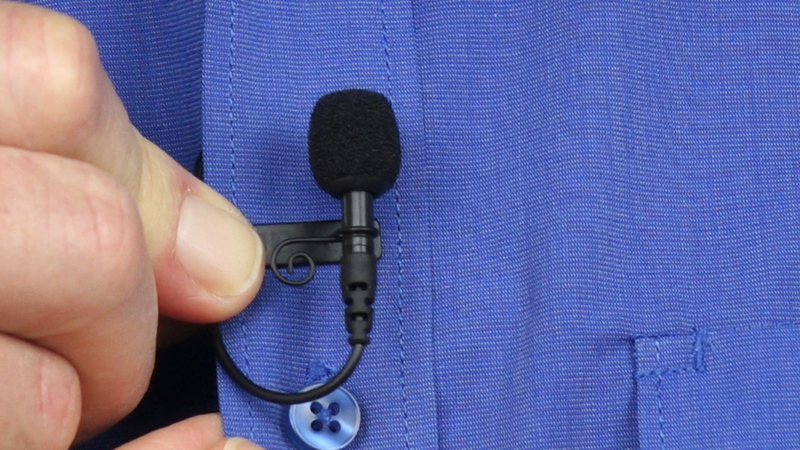 Second, I’m not in the habit of wearing a tie or a stole to which I can conveniently clip a mic. 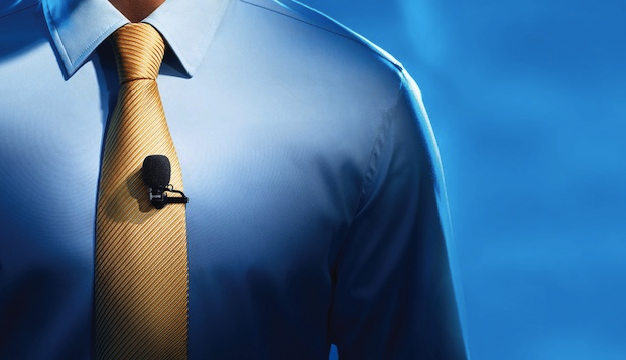 I won’t be wearing a tie. Ever. Third, those over-the-ear mics can be a problem for those of us with small ears or long hair. 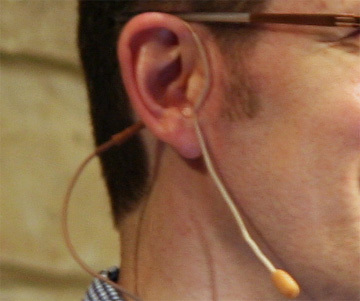 Every time I preach, our sound technician bends the earpiece like Gumby’s legs, desperately trying to fit it to my ear. He always ends up taping the thing to my cheek and the cord to my neck. When I wear my hair down, he instructs me to avoid moving my head so my hair won’t brush the mic and cause crackling. You try preaching two half-hour sermons without moving your head. Especially when there is tape on your face. Also, I’d like you to try preaching from a pulpit designed for the average man. I’m four inches taller than the average woman so this is less of a problem for me, but many of my female counterparts are preaching at pulpits much too tall for them. The flat surface for notes is closer to their necks than their waists. Natural hand gestures get lost behind the pulpit and the preacher sometimes looks like a disembodied head. I’m working with our worship pastor to shape our Good Friday service. We are using a series of dramatic readings, shaped from the Gospel of John, to tell the story of Christ’s last days. I was looking for a responsive reading that would work well after Peter’s denial of Jesus in John 18:15-27. Despite many online resources, I couldn’t seem to find what I was looking for. So I created something new, borrowing from something old. This responsive reading is simply built; it’s snippets of conversation between Jesus and Peter, taken from all four gospels. It’s designed so that the congregation walks in Peter’s sandals as he follows Jesus. 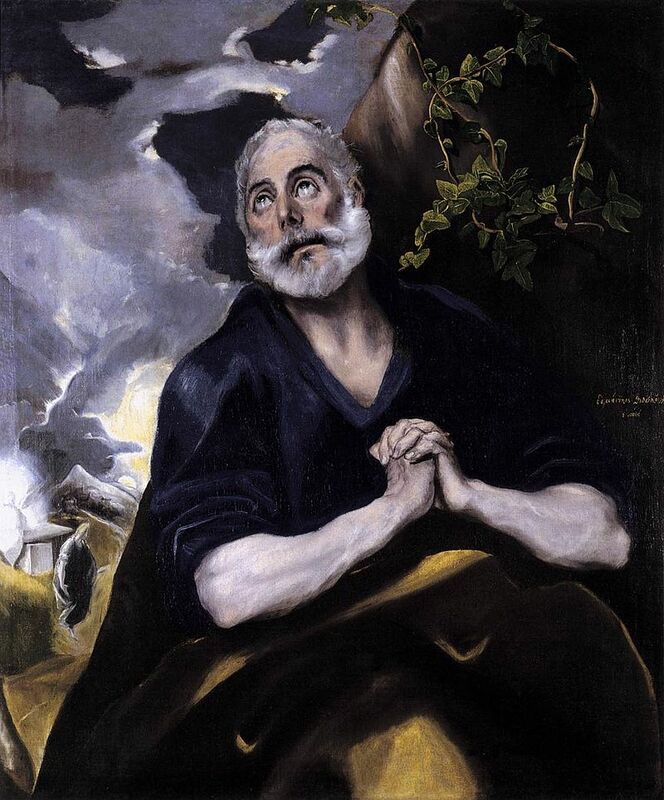 In one minute, the reading reflects three years of discipleship. I want the congregation to connect with the idea that we are all like Peter. Our lives are full of moments of passionate belief followed by doubt, fear, confusion, and passionate denial. You are welcome to use this as you will. Leader: Follow me, and I will make you fish for people. People: I will follow you. Leader: Who do you say that I am? People: You are the Messiah, the Son of the living God! Leader: No one can come to me unless it is granted by the Father. Will you go away like the others? People: Lord, to whom would we go? You have the words of eternal life. Leader: I must wash your feet. People: Lord, you shall never wash my feet. Leader: If I do not wash you, you have no share with me. People: Lord, not just my feet – wash my hands and head too! Leader: I must go to Jerusalem, suffer many things, be killed and raised on the third day. People: No, Lord! This will never happen to you! Leader: If anyone wants to come with me, you must deny yourself, take up your cross, and follow me. People: I will follow you. I will lay down my life for you. Leader: Tonight all of you will run away because of me. People: Even if everyone runs away because of you, I will never run away! Leader: Before the rooster crows, you will deny me three times. People: Even if I have to die with you, I will never deny you! Leader: Weren’t you with Jesus the Galilean? People: I don’t know what you mean. Leader: Yes, you are with Jesus of Nazareth! People: I don’t know the man. Leader: I am sure you are one of his disciples. 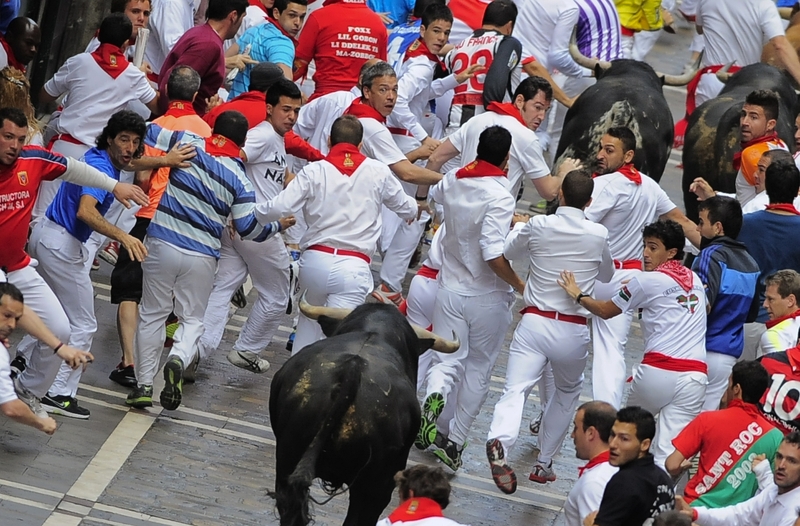 I’d rather run with the bulls in Pamplona than host a dinner party. Cooking for groups totally flusters me – an otherwise capable, confident woman – because it means I have to manage prepping and cooking multiple dishes on different surfaces at different heats for varying lengths of time. The goal of this madness is to get each dish to the table at the same time, hot and at optimal consistency. You might as well ask me to conduct the New York Philharmonic or control the air-traffic at Chicago O’Hare. I may have a Master’s Degree in Divinity but my superpowers melt in the kitchen. My friend Sheri is the ultimate hostess. Seriously, get this woman a cape. Sheri thrives on large dinner parties. An invitation to the Cross house is like a golden ticket to food paradise: bowls of snappy mixed nuts on every side table, trays of crisp veggies with tangy dip, a selection of fine crackers with your choice of gourmet spreads that are an explosion of flavor in your mouth, the sumptuous smell of slow-roasting meat. It doesn’t matter if the house is bustling with ten or more people; Sheri has a way of making each person feel like the guest of honor. Sheri especially loves having women over for tea. She makes those delicate tea sandwiches the likes of which you’ve only seen in ritzy hotels or in the well-manicured hands of women wearing derby hats. Even if you are the only guest, she’ll put out a three-tiered tray and fill it with a buffet of sweet and savory goodness. 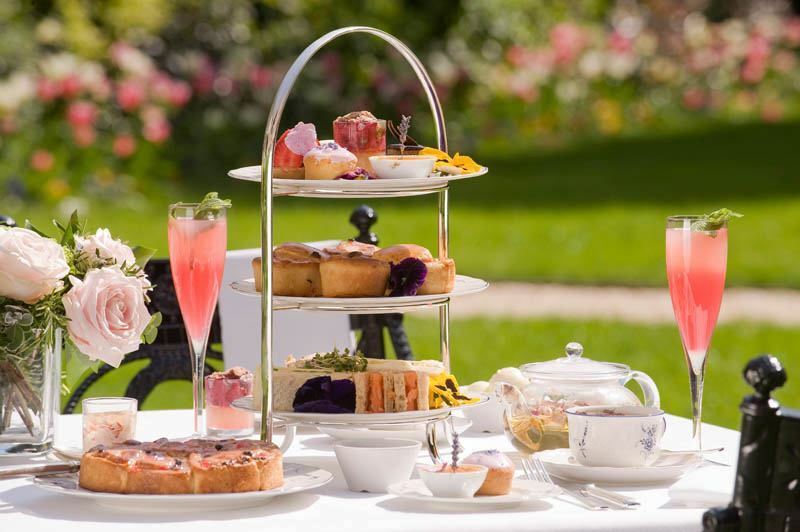 She has at least twenty kinds of tea to choose from – delicate white teas from Asia, robust black teas from England, spicy teas from India, tangy teas from South America. Sheri has fine teas for the connoisseur and supermarket teas for the novice but she never judges an unrefined palate. When you have tea with Sheri you feel like a queen, even when you’re wearing jeans and running shoes. I’ve heard mutual friends say that Sheri has the gift of hospitality. I agree, but I don’t think her ability to set a beautiful table or serve a delicious meal is proof of this gift. In fact, I think we completely miss the richness of the gift of hospitality when we equate it with the ability to dress a table or a salad. family, friends, food, the dining table, holidays, cleaning, my mother, the good china, making up the guest bed, tablecloths, casseroles, wine, cooking, perfect presentation, washing dishes, a lot of work. I think this is what most North Americans, and most Christians, believe hospitality to be. But if hospitality is about elaborate dinner parties with bountiful food and sophisticated presentation, then is it only the privilege of the first world and an offering of the rich? Is hospitality more the domain of women than men, and specifically women who enjoy cooking and who care about matching stemware? If so, then why did Jesus praise Mary over Martha when Mary was the one neglecting the table? I’ve been suspicious of this brand of hospitality for years. I have a deeply rooted conviction that there is more to hospitality than tea cups and tablecloths. So I followed an inner hunch and did a scriptural survey of hospitality, looking for its meaning, context and expression among the people of God. In the New Testament, the concept of hospitality centers on the word philozenia. Philo means friend, friendly, or companion. Zenos means foreigner or stranger. So when Luke, Paul and Peter write about hospitality, it’s grounded in the idea of befriending someone new, someone different from you. Paul ups the ante on hospitality, making it critical to the life of the church. He writes that overseers and elders are to be “blameless” and “above reproach” and then lists several indicators of these. Hospitality makes both lists along with things like fidelity in marriage, self-control and gentleness (1 Tim 3:1-3; Titus 1:6-9). In these passages, hospitality takes shape as an outward expression of inner holiness. In several other passages, the instruction to practice hospitality comes seconds after these phrases: “be devoted to one another in love. Honor one another above yourselves” (Romans 12:10-13), “love each other deeply” (1 Peter 4:8-9), and “love one another as brothers and sisters” (Hebrews 13:1-2). To me, the call to love strangers like siblings eclipses any brand of hospitality focused solely on feeding and entertaining friends! The early church’s call to hospitality flows easily out of the heart of Jesus and reflects his instruction to love our neighbors as we love ourselves. 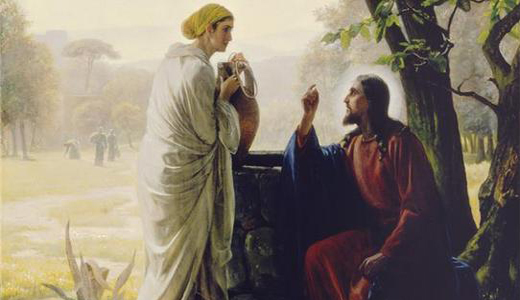 We see him practice hospitality countless times, but in my opinion no example could be greater than when he spoke with a Samaritan woman at a well in the midday sun. Without condemnation for her public sin, Jesus shows her not only his compassion, but her offers her the living water of eternal life. While it might be as surprising to us as it was to his disciples, Jesus’ hospitality was nothing new. He simply embodied and enacted the hospitality that God commanded of the people of Israel in the time of Moses. When we get our definition of hospitality from the whole of scripture, we see anew that it’s about making a stranger a friend. But it’s an expression of friendship so radical that it initiates a foreigner into your tribe. Through hospitality, the “chosen” people and the outsiders become one people, equal in God’s law and God’s love. Biblical hospitality is a outworking of inner holiness. Every time we show hospitality to a stranger we grow more and more like our God who made space in the Kingdom of Heaven not just for Jews, but for Gentiles, Samaritans, women, children, lepers, prostitutes, adulterers, and sinners of every kind like you and me. If you think that you don’t have what it takes to be hospitable, remember that God has made a place for you in his kingdom. Do you deserve this? No! But by the grace, mercy and love of God, you are welcome. How can you extend this welcome to others? Hospitality is rooted in empathy. We may not know what it feels like to be slaves in Egypt, but some of us daily feel the repercussions of slavery in the American south. Others of us are immigrants or the children of immigrants and our sense of identity is shaped and reshaped by the diverse cultures we embody. Maybe it’s not race or ethnicity that makes you feel like a foreigner or outsider. Maybe it’s a disability, something about your physical appearance, an event in your life, or a way in which you live counter-culturally. All of us, at some point and in some way, have felt like an outsider or a stranger. Reconnect with those feelings for a minute – those turbulent emotions can help us cultivate empathy for the foreigners among us. As our empathy expands, so should our compassion. Hospitality is empathy and compassion put into action. I said earlier that my friend Sheri has the gift of hospitality. Sheri is a great example of hospitality not because of how she sets her table, but because of who she invites to her table and how she treats them. It seems like every new person that enters her church ends up at Sheri’s table. And as she honors them with a beautiful tea service or an overflowing buffet, her first question is usually, “So Jane, what’s your story?” Sheri’s real gift is in making space in her world and her heart for someone else’s story. She invites more than friends or people she likes and understands to her table. Sheri – a former nanny, a pastor’s wife, a mother of two grown children, a doting grandma, a domestic diva with a drawer full of floral aprons and tea cozies – has broken bread and swapped life stories with bikers in studded leather, heavy metal drummers, tatted sailors, undocumented immigrants, former felons, addicts and many more. Even though it’s impressive, it’s not her food or table settings that make Sheri’s guests feel like they are at home with family, it’s her spiritual posture of welcome. This is God’s brand of hospitality. It starts with empathy for outsiders and compassion for those unlike us. It asks us to share physical provisions with them, but that is only the first course of action. The ultimate goal is not to meet someone’s physical needs, but to meet their spiritual needs. The human soul craves to be known, to connect, to belong — to others and to God. Biblical hospitality shows us how to love strangers so well that they become not just friends, but siblings, members of the same tribe. If you think about it long enough, you realize that this hospitality is excellent soil for the gospel. What a better way to gently open a soul to the good news of Jesus than through a sincere and generous welcome and the offer of true friendship? Hospitality is a spiritual gift. It’s a gift of love that all of God’s redeemed children have the capacity to give the world. With God’s help, we will. As you come to him, the living Stone – rejected by humans but chosen by God and precious to him – you also, like living stones, are being built into a spiritual house to be a holy priesthood, offering spiritual sacrifices acceptable to God through Jesus Christ. But you are a chosen people, a royal priesthood, a holy nation, God’s special possession, that you may declare the praises of him who called you out of darkness into his wonderful light. My friend John (not his real name) is the lead pastor of a small church. One day, as we talked ministry over coffee, John said, “Women aren’t gifted preachers.” His manner was as startling to me as his message. He spoke casually and with assurance, like this was an indisputable fact. I asked John how many women he’d heard preach in his life. He said three. One was during summer camp, the other two during chapel services at Bible college. In 2011, a Covenant church hired me as their interim associate pastor. Preaching and teaching were part of the job description. A married couple in the church believed so strongly that women should not preach, that they left the church shortly after I was hired. They’d never heard my testimony, heard me preach or seen any of my gifts in action. All they needed to know was that the new pastor was a woman. Many Christians form negative conclusions about women preaching with a simple reading of 1 Corinthians 14:34-35 and 1 Timothy 2:11-12. Sincere, devoted followers of Jesus, some of them my family and friends, believe that women who preach are sinning. But for those of us who’ve been called to ministry, and for the men that advocate for us, it’s not that easy. We believe these seemingly prohibitive passages – like all scripture – must be examined, interpreted and applied under the light of the full gospel. We believe these verses must be reconciled with passages like Galatians 3 and Ephesians 2:14 and 4:16. I think this debate often comes down to a matter of authority. I can’t speak for all women, but I certainly didn’t go to seminary, become a pastor or get ordained to get attention and status. Not a step of my spiritual journey has been motivated by the desire to have spiritual authority over others. I wanted to serve God, the church and the world in love. More than anything, I minister out of obedience to God. If I’d known how difficult a life’s work it is to lead and serve the church, this would not have been my recurring prayer since childhood: God, my life is yours. Show me how you want me to serve you. If I’d know that, as a female pastor, pain and persecution would more regularly come from my brothers and sisters in Christ than it would from unbelievers, I might not have had the courage to follow the call to ministry. It’s this call that will not let me escape or quit or back down from the pulpit. God called me. God’s love compels me to preach. Sometimes I’m so in awe of the privilege and responsibility of preaching, that I feel like nothing I say could be enough. I wonder – who am I to pass on God’s story? (Really, who are any of us?) Then I remember that God gave me the gifts and talents needed to shepherd his people, and it all comes down to this – who am I to squander them? As the children of God, we’ve been beautifully crafted in God’s image, redeemed by the blood of Jesus, joyfully adopted into one family, and commissioned to spread the gospel. Because of Jesus, I have a testimony that can encourage the broken-hearted. My testimony is just as critical as any of my brothers’. God called me to add my voice to the chorus of preachers around the world spreading the gospel. When I preach, I’m usually trembling inside. It’s a quaking of both holy fear and abiding joy. My sermons spring from the joy of what Christ has done for me and for us all. As a woman, I don’t preach just because I can, because I’m entitled, or because I think I’m great. I preach because God is great. I preach because of God and for God. I preach because the gospel heals and I want to spread that medicine. I preach to worship God and so that others might worship God. I preach to proclaim God’s matchless glory. I preach as surrender to God. I think if you’re doing it right, preaching requires surrender. Surrender of ego, personal opinion, and your agenda for your congregation. To preach well we must first listen well, to the Spirit that is in us and in the text. Preaching requires all that we are. In my experience as a congregant, the most powerful sermons always have personal stories. When preachers are vulnerable and share their stories with others, something incarnational happens; God takes a seed from one heart and sows it into another. My experiences as a girl and as a woman are elemental parts of my testimony. After I preach, women often come up to me and tell me that the sermon connected with them in powerful ways, ways that the stories and experiences of a man could not. That is why I believe God has called women and men to preach, so that his gospel might penetrate every human heart. If you believe that women aren’t gifted preachers, I invite you to listen to the sermons from Triennial XIV. Using a variety of styles, each of the featured speakers powerfully preached the gospel. Through these women, the Spirit brought healing, accountability and forgiveness to me and hundreds of others. I was challenged, inspired and empowered. Their sermons continue to impact my life. Our sisters have the good news in them, news that can transform our souls.